Oranges are a wonderful winter fruit that is in season right now. Several of my friends and neighbors here in Northern California have more oranges growing in their backyard than they know what to do with. Here’s a refreshing and healthy recipe that will give you a reason to use up those oranges. 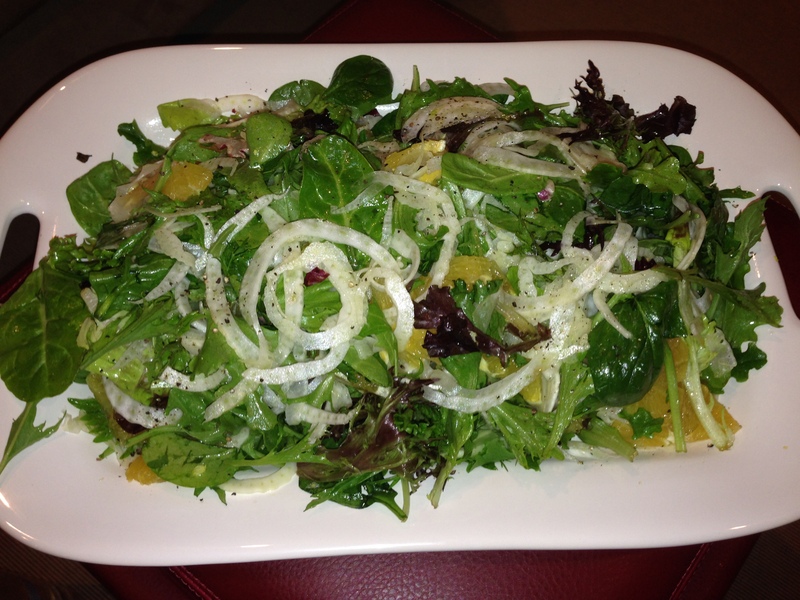 My Orange, Fennel and Arugula Salad is a burst of flavor with every bite. The sweetness from the oranges, hint of licorice from the fennel and the peppery notes from the arugula, compliment each other well. Did you know that oranges and fennel are a good source of vitamin C and calcium? In addition, fennel has many health benefits. It is a good source of fiber, potassium, folate, niacin as well as minerals, such as phosphorus, calcium, magnesium, iron and copper. In animal studies, the anethole in fennel has been shown to reduce inflammation and to help prevent the occurrence of cancer. Using a mandolin set at the thinnest setting, or with a knife, slice the fennel bulb. Set aside. 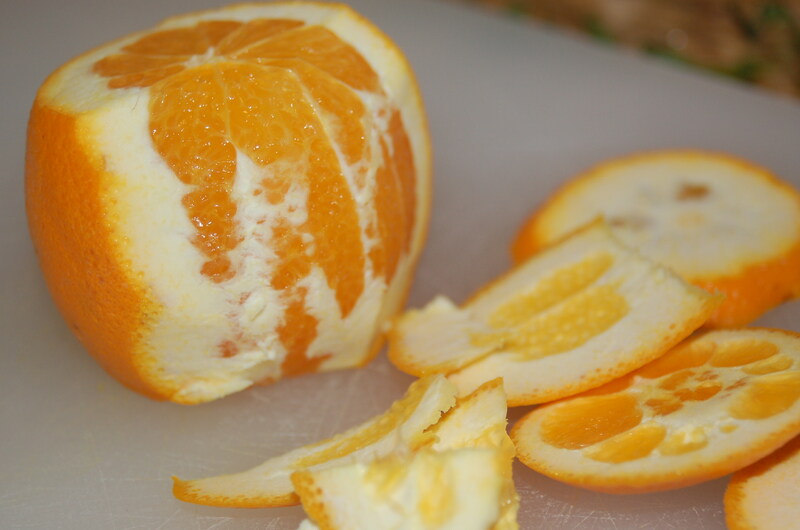 Cut the skin off of the oranges and then slice the oranges into ¼ inch cross sections. In a small mixing bowl, make the salad vinaigrette by whisking together the juice of 1 lemon, olive oil, ground cardamom, salt, freshly cracked pepper and honey. I a small bowl, toss fennel in 1 tablespoon of the vinaigrette. In a separate bowl, toss the arugula in 1 tablespoon of the vinaigrette. On a serving plate, make a bed of arugula. Arrange orange slices on top of the arugula. Sprinkle fennel over orange slices. Spoon remaining vinaigrette over oranges. Garnish with the chopped fennel fronds (leaves). Top with freshly cracked pepper. For a dinner party, I used mixed greens instead of arugula. This salad pairs well with a lot of dishes.